The LG PD233 is ultra-portable and can easily fit into one’s pocket and connects to a smartphone or tablet via Bluetooth, Wi-Fi or NFC. You can print any photo on from your mobile device onto 5.1×7.6cm papers. The printer is also believed to be value for money as it uses a printing technology called ‘Zink’, which essentially uses an inkless paper system to eliminate the need for expensive ink cartridges. 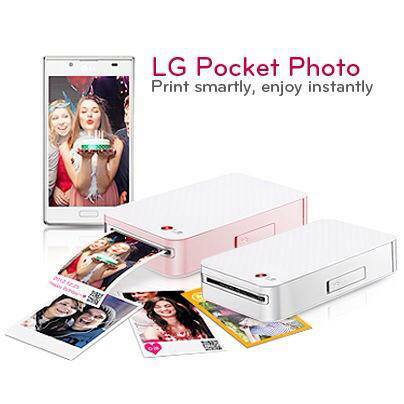 The printer requires you to download the LG Pocket photo app, using which you can print photographs, birthday invitations, business cards and also personalize them using QR codes. The app also offers simple editing tools for photographs before you print them.